I was recently interviewed about Sound Design for Diablo 3 for Blizzard Entertainment’s Podcasting series Blizzcast #17! I had a great time talking a little bit about some of the Sound Design for Diablo 3 so I really hope you enjoy it too! I had the pleasure of talking on the Blizzard Sound Panel: The Sounds of the Sanctuary at Blizzcon 2011 with my esteemed cohorts where we talked about the behind the scenes Sound Design, Voice Over, Music and Audio Direction of Diablo 3! If you happened to catch it (which you still can stream online if you bought the Virtual pass) you would have seen a small sneak preview portion of the behind the scenes DVD from the Collectors Edition of Diablo 3. We talked a bit about implementation tips, monster and skill sound design, voice over direction and line counts, music design and implementation and general direction of where we are headed for Diablo 3 as well as fielded some questions from the fans. If you are even remotely interested in some behind the scenes info about the sound in Diablo 3 I recommend you search it out and take and watch. Oh and the Foo Fighters were awesome as well! Are you someone who is interested in Sound Design for Video Games or maybe just a hard-core gamer looking to break into the Industry but not sure where to start? Then read on to learn how to possibly get your foot in the door which is half of the battle now and days. Whether you are interested in breaking into the Video Game industry as a Sound Designer, Composer or any of the other practices within the industry there are a many different avenues that may suite to you. Some are more obvious than others so read on to learn more! If you are strictly a Composer you might want to also read the article I wrote for beatportal here (Beatport’s Blog). It contains some great information on how composers can get their music into the hands of the important people who might be able to place your music or hire you for composition as well as a programming portion written by Sound Programmer Erik Pettersson! If you already have decided which area you want to focus in the most obvious way is to go to school and get a solid background of knowledge about the skills you want to master so you can hit the ground running and start the search after you are done. Another great thing about schooling is that they have job placement programs that work with companies in the industry to help place their top students in intern or junior roles right out of school. I have worked with quite a few people who have come from schools as well as ones who have not. Check the links portion of this blog down at the bottom for some example in schooling. This should go without saying, experience is key to learning. The more you can apply yourself to work on as many projects as you can while you are trying to break into the industry the better. Not only does it put you ahead of the pack in regards to shipped products it is also great for the resume for when you apply for a in-house job at a video game developer. I would recommend to try to contact indie game developer groups to help them with their Audio (or any of the other professions if you want to try other areas of dev) for any of their current or upcoming indie games or game mods. Pay would be determined on your experience and size of the project and whether or not it’s a free game mod or an actual product for sale. If you happen to be lucky and are a part of a solid mod developer there are times when development studios hire them on to create a professional version of a mod they have created. One example of a team like this is the highly crafted Valve game named “Portal”. Check out this interview on Planet Half-life about how they came to be! Video Game Mods are great for learning and experience in that the development engine is provided from a game developer for their community to continue to create content for the game long after the game is released. Some groups focus on new maps or even entire new different mods of the actual game where they design brand new content and would need Sound Design for. I recommend working in video game development engines that are suited for this sort of thing because they are usually the same tools that the real developers used to ship their main product. Implementing your own sound designed sound effects really helps shape your sound effects once you actually get to hear a sound you have made in-game at run time. Sometimes that really cool sound you just created just doesn’t sound right once you hear it play back at run time because the playback circumstances will dictate how your sound effects play back. So getting that experience early on is great to have up your sleeves. Usually companies require a reel (digital or on a CD) which show cases your best moments in Sound Design. Your demo Reel should contain only your best moments in Sound Design. If you are not sure if it is not going to show your best talent to the viewer then do not include it. Your Demo reel could contain individual sound effects, sound to picture (cut scenes or mini movies that you have sound designed or scored) and maybe even some of your music if you think the company you are applying for might be suitable. Try to remember to keep it to the point and not too much to overwhelm. But if your Sound Design is good then they might not mind as much. It’s a challenge to find that happy medium of content. I’ve seen many different types of reels that go from just folders within folders that name the projects and year it was created to the high quality DVD motion video which you just pop into a DVD player and watch. My own personal comments on these is that I don’t think that your reel has to be super flashy so to speak. Your Sound Design should speak for itself no matter how flashy your reel presents itself to be. Without the previous experience of working in the industry or going to school you could also try to apply to companies for the role or as an Intern or Junior Sound Designer but it might be tough to break through if you have no previous experience which is why I recommend schooling and or indie games a shot before you apply as it might give you the upper hand. Always include any certificates of courses on tools or software you have been awarded and your proficiency in any tools, plug-ins, video game engines, programming or scripting knowledge. There are many industry trade shows like the Game Developers Conference (GDC) that you might be able to attend where you can bring your CD reel and a resume with you to give out to developers that you might run into on the show floor. I believe that they usually also have job fairs as well at some of these trade shows. I go a bit more in depth about which trade shows are great for this sort of thing in my other article on beatportal created more for composers but you will also find it useful for the other professions as well. If you are not sure what you want to do in the video game industry yet or are just an avid gamer who would love a career in video games there is a not so obvious way to get into the industry. It is as a Quality Assurance (Qa) tester. Usually you can start in the qa department and move up and out into other areas of development after a year or two. You sometimes also get to work directly with the developers which can be key to getting up and out of qa and into the position you desire. It is when you work directly with the developers that you can mention to them that you are interested in getting out of qa and into a more creative type of role. Many of my colleagues as well as myself, started as QA Testers many years ago. It can prove to be an invaluable stepping stone to getting your foot in the door of the industry and for learning game development standards. Generally speaking the quality assurance tester position consists of testing a game in development over and over while writing up bugs and retesting to see if those bugs were fixed with newer revisions of the game. For hard-core gamers this is like a dream to come true to get paid to test video games. While it is pretty cool it is also long hours and hard dedicated work. The same can apply to being a Sound Designer in the industry as well as these AAA quality titles are not easy to create. It takes dedication and long hours to create great content. I can recommend going this route as it is how I initially got into the industry and it also teaches you the basics of how video games work under the hood. This knowledge is extremely helpful down the line as a Sound Designer who creates his/her own sound effects and then implements them. It helps you to figure out why something might not be working when you try to play your sounds back real-time in-game. By narrowing down the reasons as to why your sound isn’t working you can figure out if it’s your own user error and other times it might be that the technology you are using is not working as designed. Knowing how to test can help you figure out what is going on quicker than thumbing around in the dark. Not only does having the QA Tester position under your belt show that you have knowledge of how video games work it also shows your future or current employer that you have the extreme interest in Video Games and thorough dedication other than just being an avid gamer… Another step up! Believe it or not there are video game companies scattered all across the globe. I’ve found the website Game Developer Map to be useful in figuring out where game companies exist. You might want to click on your general area and see what companies are close to you and then check out their Jobs/Career boards. You might find some companies that you never knew were just around the corner from you! Industry website that contains a lot of very useful articles, job postings, news and insider information. Last year I wrote a nice little article for Beatportal (Beatport’s Blog) for aspiring composers or electronic music producers about how to possibly get their music into video games. I also got my good friend Erik Pettersson to write a portion of the article about Sound Programming as well! Many producers and DJs often wonder how they can get their music on video games. The good news is that there are many different ways one can get involved, but first you need to decide which path to take. – Are you composer/producer/record label who is trying to license music for video games? – Are you a composer who wants to specifically write a score for a video game? – Are you a sound designer who wants to make and implement sound effects for video games and maybe even become an audio programmer? Welcome to my Sound Design for Video Games blog! I am asked a lot about my work so I figured I would create a personal blog created for those interested in Sound Design for Video Games or anyone new looking to learn about Sound Design in Video Games! In short, doing sound design for video games is a different beast than doing sound for film or tv. 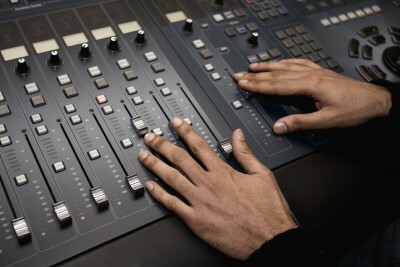 While the main principles of the sound design itself can carry over from film and tv, where it differs is in how you must think about how it will trigger back in the game real time. This split of being not only artistic as well as technically savvy is where I really enjoy my job. I am a Senior Sound Designer for Video Games working at Blizzard Entertainment and on the side I also Produce and Remix Electronic Dance Music under the alias Red-Eye as well as run an independent Electronic Music record label named Red Session Records. I am currently working on much anticipated games World of Warcraft: Cataclysm and Diablo 3. While I can not speak directly about the content within these projects until they are released I will discuss certain things about Sound Design for video games in general or random anecdotes about my career as well as tips and tricks! Here’s some background about myself: I started in the industry back in 1999 as a QA tester for Interplay Productions. Interplay was a seminal and influential company in the 80s and 90s. It spawned many careers of talented individuals within the industry that i still keep in touch with. I am very proud to be a part of the Interplay legacy as I look back at the start of my career. I then went to Treyarch starting as Sound Designer and was there for about 7 years. During my time at Treyarch I worked my way up to being the Lead Sound Designer on the Spider-man 3 movie game. During my stay I worked on all of the Spider-man video games that bear the Treyarch name. I am very proud of my work on these AAA titles. After some time I felt I needed a change and decided to take a Senior Sound Designer position Pandemic Studios. I was present at the time of the studio closure by EA and was left unfortunately, unemployed. 11 years deep into my career I feel there is still so much more to do! Stick around and don’t hesitate to ask questions! I like to help when I have the time.